The American Gunner line is a collection of tried-and-true, versatile loads that are popular with shooters for their target shooting, hunting or self-defense needs. 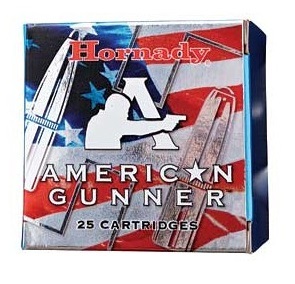 The American Gunner line of ammunition is a collection of tried-and-true, versatile loads that are popular with shooters for their target shooting, hunting or self-defense needs. Made in the USA with premium components, American Gunner ammunition combines generations of ballistics know-how with modern components and technology. 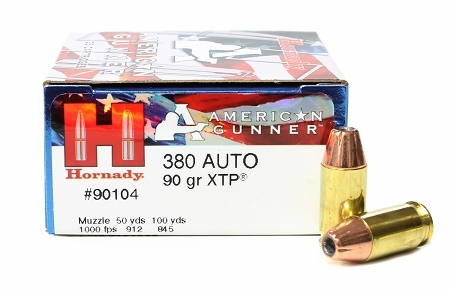 Preliminary offerings feature legendary XTP (eXtreme Terminal Performance) bullets that have been favorites for decades. Designed for hunting, self-defense and law enforcement applications, the XTP bullet is exceptionally accurate, and is the choice of many top competitive shooters around the world. First time I bought online. It was a gift to my daughter so can't vouch for the ammo but service was A1.